An year of recession and No Hike should have something best to compensate the deeds. I am jotting down all the good things that happened to me in 2009. The year went without any resolution and failed attempts to promote myself as Handsome. Ooooppppss!! I could not put my weight back to 70's scale. Nevertheless I enjoyed a lots of Biryani in Hyderabad and Bangalore. I learnt to cook excellent biryani too, with Desi Ghee. The Year was bad for the finances, yet I bought three gadgets/Machines that were needed and used extensively to the idea of satisafction and salvation. I became traveler Byond! (A copyrighted name), when i bought A DSLR, A HP Pavilion and A RoyalEnfield Thunderbird 350CC. I met excellent people made excellent groups and started Facebook application. Though i created my account 4 years before but was stuck to leave Orkut. Thanks to Orkut that they changed their classic view and copied facebook, and i was forced to stuck with originals. Best Food: Karimeen in Kerala, Special Chicken biryani (Meghna Biryani). Best Drink: TGIF followed by Little Italy. Best Trip: Coorg-Madikeri 2 day Ride. Best Buy: My RE Thundebird 350CC roaring thumping Mean Machine. 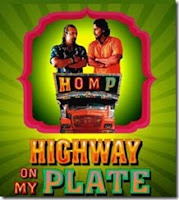 Best TV find: NDTV Goodtimes- Highway on my plate. It made me go to restaurants for 4 times just after watching it. Yummy and Down to earth. Best portal: I got hooked to Facebook and Twitter like all others, but thank God still no idea about Farmville and Mafia. Best Moments: Should I Discuss it ----Ok I got a phone call from my sister in Dec2009 and my world got empty and shattered yet it was the best. Keep Guessing You Morons! !